Building a pool can prove to be a hassle and very expensive but you should think of it in terms of making an investment. There are a number of things to think about when looking to build an inground pool. The prices you ultimately pay will depend on the choices you make. For example, if you’d like to save some cash you might choose a prefabricated pool. 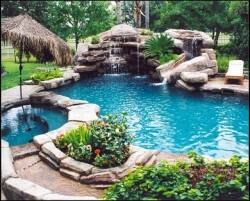 Maybe you have a larger budget in mind, but you want a pool that is custom made. In the following paragraphs we’ll be covering some costs to factor in for your plan. Prefabricated pools are a least expensive option. They are typically sold as a package, it should come with everything you need to get the installation done. Basically, you need to excavate and make enough space for the pool to fit in. They are commonly made of fiberglass, which is resistant material. The downside to buying one of these is that you can’t mold the size or shape to your liking. To get a better estimate if you choose this route you have to take into account the price of the pool. A standard rectangle of 15′ X 30′ can cost around $8000. Plus, the salary of an excavator, plumber and electrician. If you’d like to have your pool built from the ground up it will be a higher cost. They way it works is that after excavating, the floor and walls have to be built by hand. Afterwards, you have two choices. First, you can opt for a steel frame covered with sand or concrete with a vinyl liner on top. The cost for this approximately $18,000 for a 15′ X 30′ rectangle. Or, you can have them pour concrete into a rebar framework to form the walls and floor. This option can cost from $25,000 to $30,000 total. If you want tiling, that can be a couple of thousand dollars more. After the pool is built, there are extra costs to consider. There’s electrical costs. You can expect to pay $50 a month or less, depending on things like filters and swimming pool lights. Providing maintenance will require chemicals, which won’t be too expensive, but it will require some of your attention and time. Lastly, you might want to consider a cover for winter. 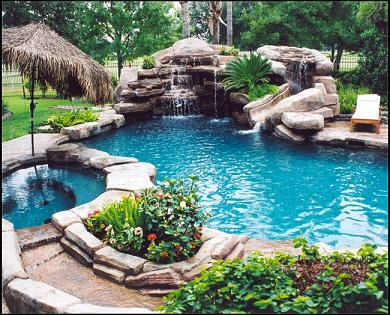 Building a pool can prove to be a hassle and very expensive. But, you should think of it in terms of making an investment. You are adding value to your home, and a source of endless entertainment. Keep this in mind when going over inground swimming pool prices, and if you decide to hire a pool installer never shop based on price. It can be even more expensive to have issues in the long run. NextNeed Help for Your New Washing Machine?